The blackest material ever made has been refined to be even darker. Surrey Nanosystems announced and marketed the original Vertically Aligned Nanotube Array Black (Vantablack coating) about three years ago and has been beavering away trying to improve it. Previously a Vantablack coating absorbed 99.965 per cent of the light that hit its surface - that's only reflecting about 0.04 per cent of light. Now the improved super-black material is so black that any light that is reflected from it is no longer detectable via spectrometer. 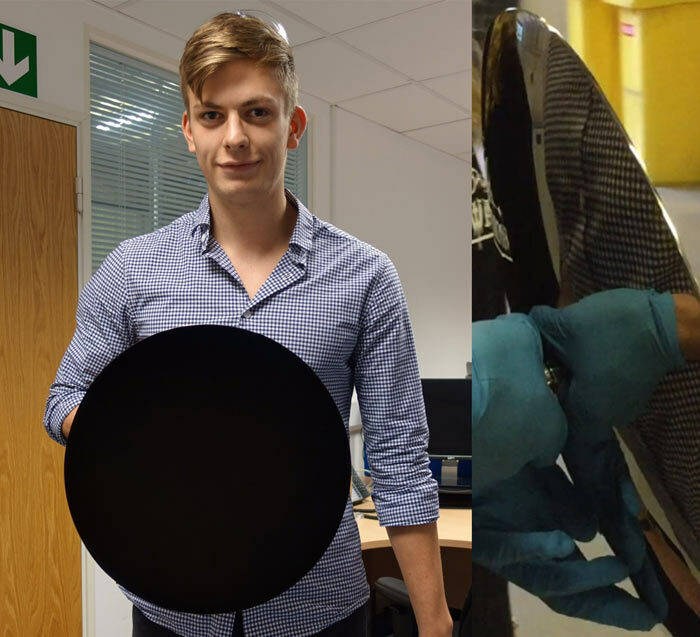 As explained by Phys.org, Vantablack is created "by chemically growing a network of carbon nanotubes (each of them is just 20 nanometers in diameter and approximately 14 microns to 50 microns in length) in a high-temperature chamber". Light hitting the dense carpet of nanotubes bounces around inside the tubes rather than being reflected back. The material is thus so dark that it's impossible to see features on a 3D structure, all you would see is a silhouette from any angle - with no internal contours or highlights etc. In addition to the improvements to Vantablack, as outlined above, Surrey Nanosystems has developed a spray applied super-black paint called Vantablack S-VIS. Of course this black material is different, with spray application rather than being formed in a 500°C oven. The light absorbance is derived from short, non aligned CNTs and other organic materials/binders dispersed in carrier solution - the painted object is then vacuum processed. Its optical cavities trap light in a similar way to Vanrtablack and it typically absorbs 99.77 per cent of light. Superblack materials are of great utility in scientific instruments, especially those incorporating imaging sensor tech. 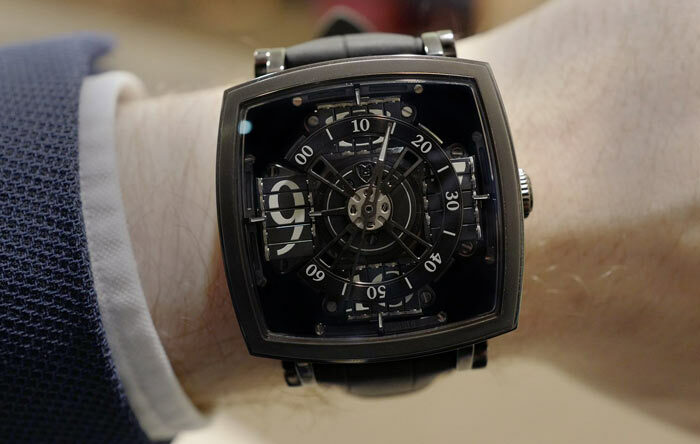 However Vantablack has been used by artists and craftspeople too - look at the wristwatch below, for example. But first, get my car sprayed in this. I see many arguments and insurance refusals in your future… plus a huge bill for the necessary vacuum treating part!! Haha, did you see who drove off from the petrol station without paying?